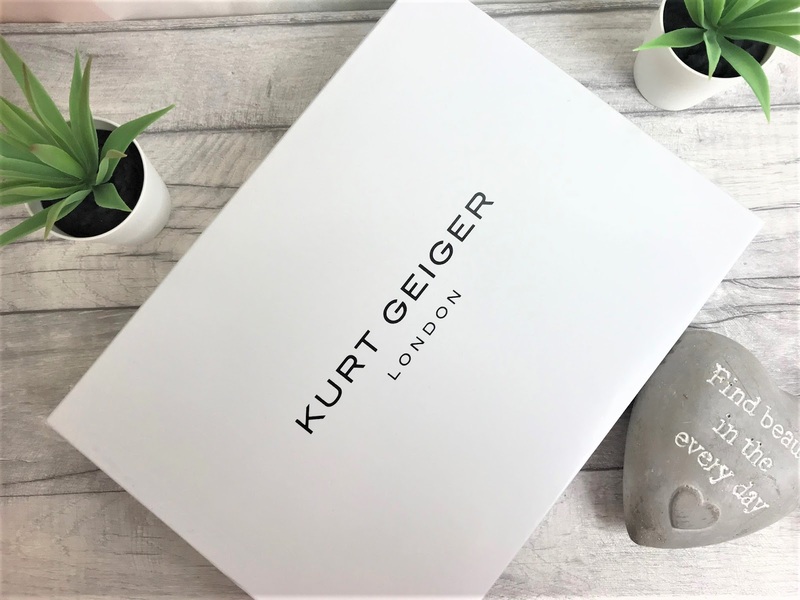 One of Summer 2018's biggest accessory trends was Kurt Geiger's Rainbow bag, namely the Kensington bag. As I saw all of my favourite You Tubers and Instagrammers swishing around with this bag of my dreams, I knew I must have it. However, it wasn't something that was in my budget at the time. Recently, however I spied the trainer version - and if you follow me on social media, you will know trainers and handbags are my thing. I love nothing more (in a 'physical thing' kinda way) than a brand spanking new handbag or pair of trainers. 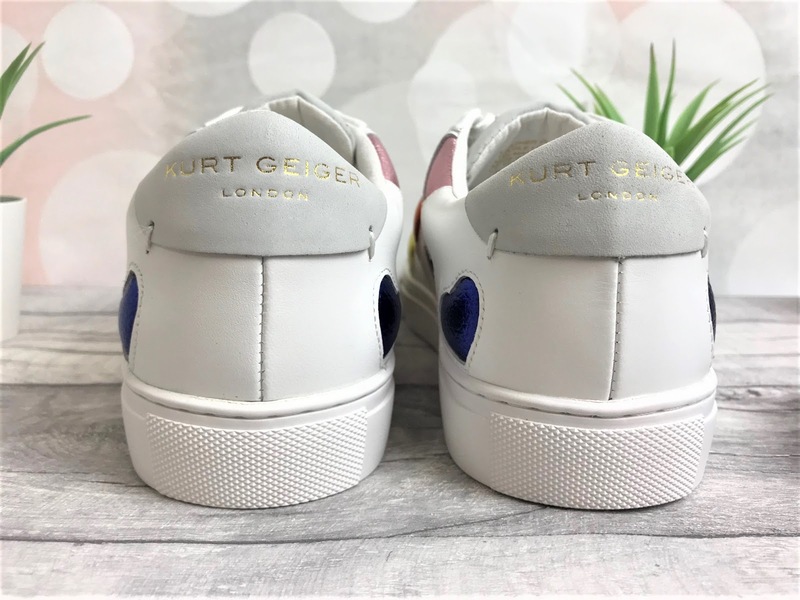 Normally, I am an Adidas girl, but when I saw the Kurt Geiger Love Lane Trainers, I knew I was about to be converted. 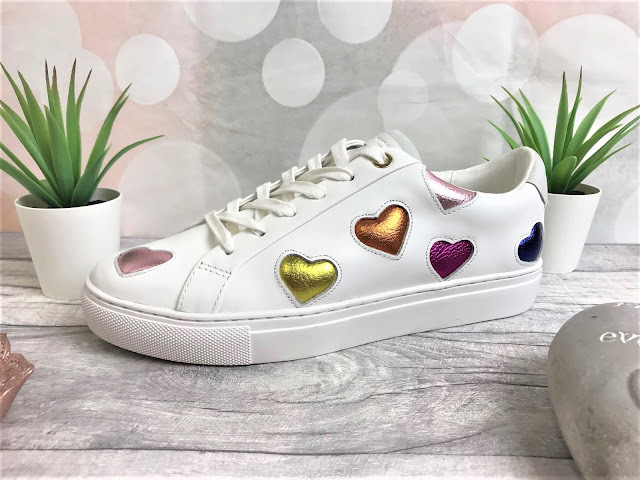 They are probably a love or hate kinda shoe - some will perhaps think them childish due to the rainbow colours and pattern, or if you are like me, they will be your 'everything' shoes. The BAE of shoes. The love of my life. 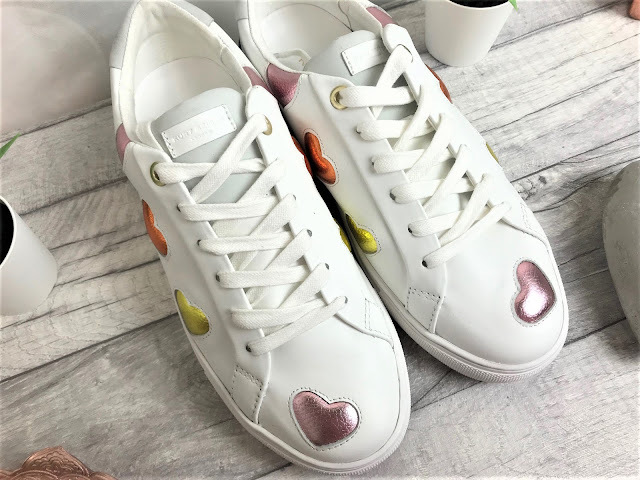 The Love Lane trainers are available in two colourways - white with black hearts or the ones I have, white with different coloured hearts and as I write this, they have literally just released little girls' sizes! So you can have a Mommy & Me moment. The shoes have a low-profile classic trainer style with a padded ankle for comfort. The padded and inset hearts all match but don't match if that makes sense and they do remind me of a Gucci pair that was released a couple of years ago - however I didn't want to/couldn't spend £435 on a pair of love heart trainers as they wouldn't go with everything as they had red on them, whereas with the pinks, blues, yellows and oranges, these hearts will go with pretty much anything. They aren't the cheapest shoes in the world, at £129, especially for 'trainers' but they have clearly been made from the highest quality materials and are built to last. Plus, they are unique and I guess when you want something a little different, you are more willing to pay for that. Now, I just need the matching bag next.... Roll on Christmas! Haha! Joking, I need some sunshine first! You can find the Kurt Geiger Love Lane Trainers online here.